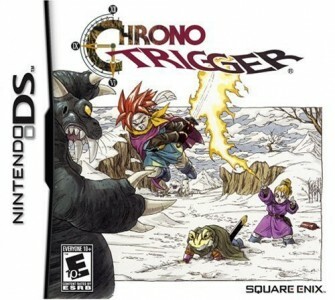 Chrono Trigger is one of those titles where anyone who considers themselves even partial fans of the genre the game belongs to are almost guaranteed to know about it. Though not a really a fan of the genre at the time, Lord of the Rings: The Third Age being the only real JRPG I had played prior, I had known about Chrono Trigger for a long time and its fabled quality. “It just doesn’t seem for me.” I said to myself, “I like action gameplay and RPG elements that I have more control over.” But there was another aspect of video games that, unbeknownst to me, I adored above almost all else; this ethereal quality that certain games I enjoyed had, like Shadow of the Colossus, Half-Life, and Riven. We all know that JRPGs aren’t really about the gameplay itself. They are repetitive, often simple, with little to no room for variance or customization, and JRPGs tend to rely on their storytelling to act as the driving force of the game. One of the reasons Chrono Trigger is regarded so highly is because its story is just that good. Awesome characters, an interesting setting, and clever yet concise writing make for an incredibly engaging ride, but that’s just why Chrono Trigger is good. Video games take all the aspects of other popular art forms and mashes them together. Making a great story isn’t just about the writing or the setting; it’s about the music helping to create and convey the right emotions, it’s about the art helping to set the scene and give the world character. Video games are unique though, in that they also have the gameplay which similarly affects the quality of the story. It’s when someone puts so much effort into the writing, art, and music, and then combines it with the gameplay that we get something more than just a great movie. When the story and its execution are so well done, playing the game has so much more meaning. It’s what makes playing a JRPG more then just hitting A and watching the numbers go. Beating a boss can be satisfying, not just because it was a worthy challenge but because of its story significance as well. Not only does the story make the gameplay better but the reverse is also true. A character dying is so much more moving when you’ve been battling alongside that character for hours. A pivotal decision carries so much more wait when its the player making that choice, even if they never actually have a choice. Just knowing that you have some control over the world in someway makes everything seem much more real. This is why Chrono Trigger is so immensely popular. It does have some of the best art, the best gameplay, the best music, and the best writing, but it’s when all those things are expertly combined with its well crafted and unique move-combining gameplay that you get an experience that is truly unforgettable. That is why I will never forget that Chrono Trigger is one of my favorite games of all time.